The birds - through their handler and interpreter Tommy White from the Altons Keep Wildbird Rescue & Rehabilitation Center in Sussex – provided valuable insights about their habitats and threats to their species. Tommy is a Certified Wildlife Rehabilitator certified by the US Fish and Wildlife Service and Virginia Department of Game and Inland Fisheries. Of note, he is federally certified to rehabilitate eagles. He also has as part of his certifications authority to use birds that are unable to be re-released into the wild for educational classes. 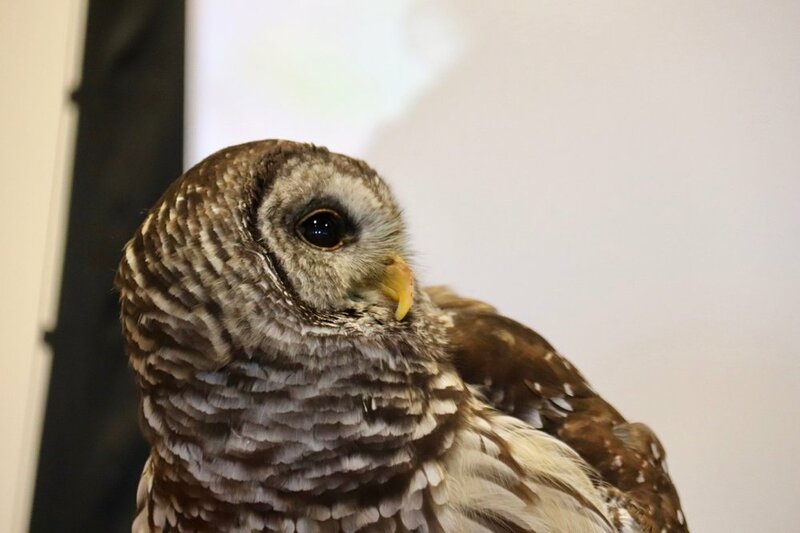 The class learned about, discussed and had a Q&A on the processes of wildlife rehabilitation, roles of hawks and owls in an ecosystem, threats to these birds from chemicals, poisons, collisions with vehicles, loss of habitat, and the compelling stories of each of the five birds. The birds clearly “owned” the audience and added to a good day of learning at Belle Isle State Park on March 22nd . The birds were riveting. The same goes for Tommy. Supporting Tommy for the presentation was Diane O’Conner and members of the staff from the Wild Bunch Wildlife Rehabilitation Refuge in Warsaw. Following the class, we arranged through Ranger and NNMN Katie Shepard at BISP for Tommy to take a few of the birds into the BISP Visitors Center for some of the visitors to the state park to see. 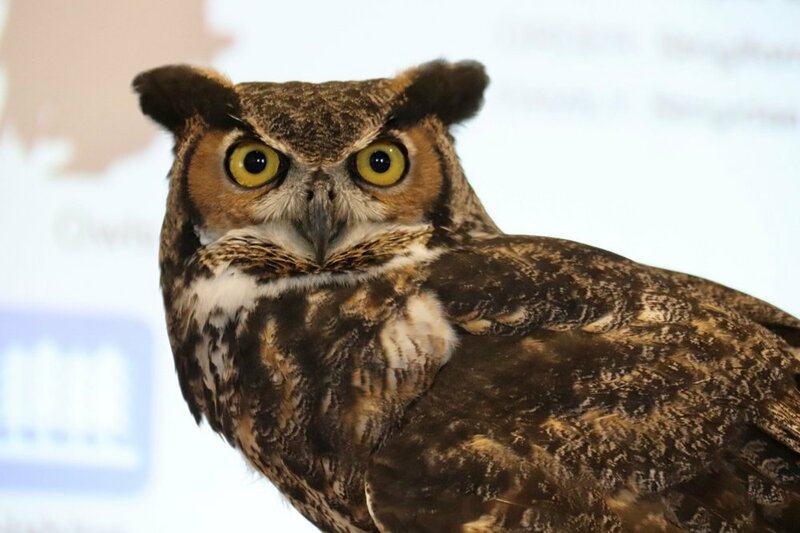 Here are some pictures from the class and of the five Birds of Prey “Tsgili” – Great Horned Owl, “Little Star” – Kestrel, “Asquanigohisdi” – Red-Tailed Hawk, “Dixie” - Barred Owl, and “Rosie” Eastern Screech-Owl. Photos are by Kyle Langford and Jeff Wright.